Who: Initially open only to boys & girls born 2001-2010 who are currently registered in either the 2018-2019 NoVA Youth CBHL, Youth CCHL, 8U House or LTP Program. If slots remain on Friday, February 15, 2019, registration will open to players not currently registered in a NoVA Program. Please direct all questions to Brian McCarthy who can be reached at icedogshousedirector@gmail.com. What: The 10U-18U Spring Program will be similar to last season’s format where there will be a mixture of practices and games. However this Spring, we have added specialized training sessions as well. 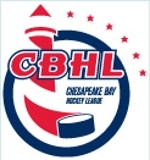 All current 2018-2019 NoVA CBHL or CCHL players are encouraged to join our 3v3 or 4v4 league. Come game day, there will be no set "teams" in an effort to relax some of the rigidity of the previous year. Instead, teams in each Age Division will be formed based on who is in attendance on that particular day. All sessions will consist of players in the same Age Division designated by USAH for the 2019-2020 Hockey Season. When: The 10U-18U Spring Program runs from March 19, 2019 through May 21, 2019. The following table shows the ice slots used in the 10U-18U Spring Program. There are no events the following dates: April 13-21, and May 4-10. The schedule will not be completed until registration is closed. The number of players in each Age Division will determine the number of teams which will determine the overall schedule. Structure: Game Session's: Each player will bring both their "home" and "away" NOVA jerseys. Teams will be formed at random once all players have entered the ice surface. Each week teams will be divided the same way giving players a chance to play with a variety of friends and skill sets. Score will be kept in each game during the allocated ice time but scores will not be used for any "standings". Practices: Will be run by coaches who have been certified by USAH and will follow USAH ADM guidelines. At the discretion of Divisional Coaches, practices may be substituted for games from time to time. Specialty Training Sessions: A new addition to this year’s program will be four (4) "power skating" sessions run by a specialist. At these sessions, goalies will have individual training from Wolfe Hockey Academy.